This is the TechNet Wiki page for Power View, a feature of Microsoft SQL Server 2012 Reporting Services Add-in for Microsoft SharePoint Server 2010 Enterprise Edition. 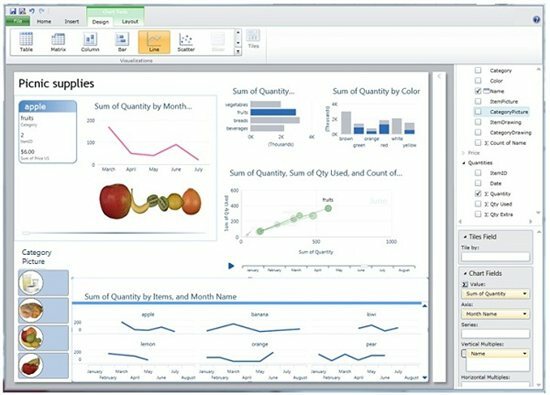 Power View is an interactive data exploration, visualization, and presentation experience. Important: Please visit Power View documentation on office.microsoft.com for the most up-to-date content. Power View is now a feature of Microsoft Excel 2013, and as part of the Microsoft SQL Server 2012 Reporting Services add-in for Microsoft SharePoint Server 2010 and 2013 Enterprise Editions. Power View provides intuitive ad-hoc reporting for business users such as data analysts, business decision makers, and information workers. They can easily create and interact with views of data from data models based on PowerPivot workbooks or tabular models deployed to SQL Server 2012 Analysis Services (SSAS) instances. Power View is a browser-based Silverlight application launched from SharePoint Server 2010. Microsoft MVP Jen Stirrup Talks Trellis Charts And Power View!